Before the first sphygmomanometer, doctors put tubes in arteries to measure systolic blood pressure. 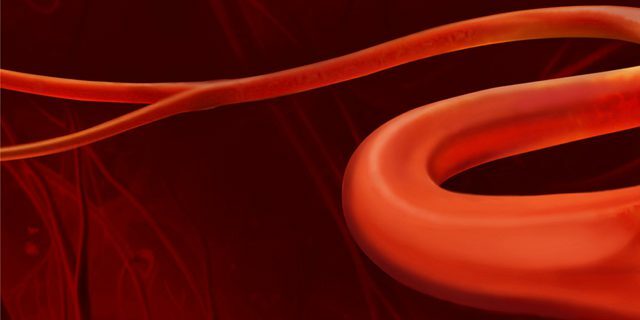 Happily, in 1881 Samuel Siegfried Karl Ritter von Basch figured out a way to measure blood pressure in a less invasive way, using a rubber ball that restricted blood flow to the artery and attaching that to a column of mercury. What is happening when the cuff is put on your arm? What is the doctor, or nurse, or machine, trying to detect? When the cuff is pumped up, it feels like they are cutting off blood flow to your hand. Guess what? That is what the cuff is supposed to do. When the healthcare provider can hear the blood flowing again, the gauge shows the systolic pressure. When there is no sound from the artery, the number on the gauge is the diastolic pressure. The sounds from the artery were figured out by a Russian physican, N.S. Korotkoff, in 1905. Because of this achievement they are named after him (Korotkoff sounds). The bottom and smaller number in the ratio is diastolic. 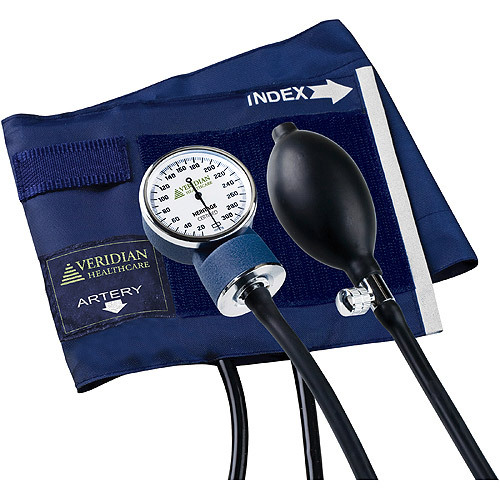 Diastolic pressure is measuring the pressure in your arteries when your heart is resting between heartbeats. This is the time when the heart refills with blood. If your diastolic pressure is below 80 mmHg, you are in great shape. Prehypertension occurs when diastolic pressure is between 80 and 89 mmHg. If the diastolic pressure is 90 to 99, you are in Stage 1 Hypertension. 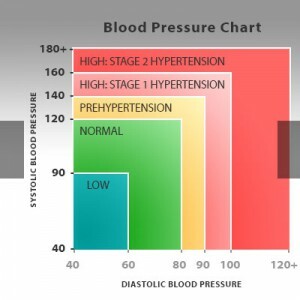 Stage 2 Hypertension occurs from 100 mmHg and up. A dangerous and emergency situation has developed if your diastolic goes over 110 mmHg. (<=Click to Tweet About This) Looking at the difference in the systolic and diastolic pressure gives another measure called pulse pressure. For example, if your blood pressure is 140 mmHg /80 mmHg, you pulse pressure is 140 minus 80 or 60. Pulse pressure should be between 30 and 60 mmHg. So what does this all mean to you and your body? With high blood pressure, your brain just doesn’t get the amount of oxygen and nutrients it needs to stay healthy. TIAs (transient ischemic attacks) are short spells when blood flow has been stopped to different parts of the brain. These are precursors to larger attacks called strokes. When the brain is deprived of blood long enough to cause damage, it is called a stroke. Depending on the place in the brain where the stroke occurs, losses in speaking, moving and other abilities result. High blood pressure can also lead to dementia and other cognitive impairments. Difficulties in memory, reasoning, vision and movement occur. High blood pressure injures the tiny blood vessels that make up the kidneys and that are crucial to the blood filtering function of the kidneys. Without your kidneys, waste and excess fluids build up in your body. You cannot live without this filtering function. Kidney transplant or life-long dialysis treatment results from damage to the kidneys. You didn’t know it but the sphygmomanometer is your friend. Changes in diet and exercise, reducing stress, and taking prescribed medications can all help to keep blood pressure numbers in the green zone. Low blood pressure keeps your arteries, heart, brain and kidneys healthy.